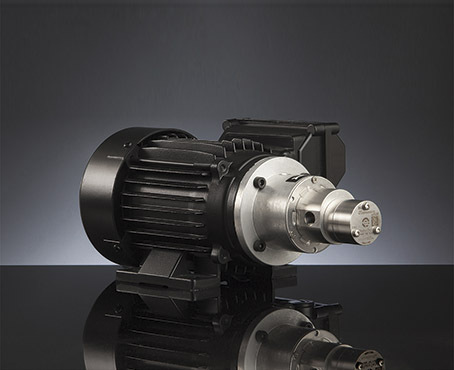 The compact precision performance pumps MG or PG series are designed to fit high technology applications. The magnet drive principle provides a totally sealed pump chamber which is capable of handling a wide range of corrosive fluids with a high degree of safety. The pump housing is available in AISI 303, AISI 316L, SAF 2205 or PPS. In operation the MG or PG series pumps are noiseless, pulsation-free and capable of handling relatively high temperature liquids up to 120 ¡C (248 F). The coupling with the MGCF03S, MGCF07S and MGCF28S units designed for heavy duty, provides a reliable and noiseless operation in a compact size package.